The only difference between these models is the type of brush head that it comes with. The handle is exactly the same. Of the three main versions, we will be looking at the Oral-B Vitality plus cross-action electric toothbrush today. We will be exploring whether the lack of features impact the overall value for money and providing the low down on whether it is really worth buying. The Oral-B Vitality comes with a limited number of features. It has a 2 minute quadpacer timer which is a helpful on handle timer that “buzzes” every 30 seconds. I have often stated that a 2 minute timer is a must on an electric toothbrush and am really glad that a budget ranged electric toothbrush contains this feature. The handle is a slightly thicker profile than the Oral-B Pro 2 2000N or 3000 however it is still easy to grip with the rubberized material. The handle is also waterproof which is useful if you want to use the electric toothbrush in the shower or accidentally drop it in the sink. The On/Off Button on the Oral-B vitality feels a little cheaper in construction than the more expensive Oral-B Electric Toothbrushes. It has a hard “plasticy” feel to it instead of the soft touch plastics used in higher-end models. There is no visible pressure sensor on the vitality which does score it lower points. 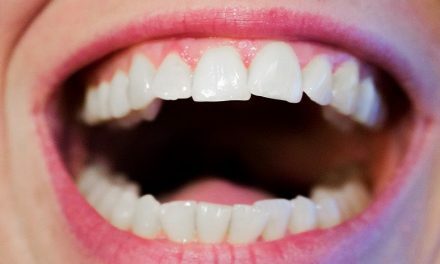 Pressing too firmly with a toothbrush causes tooth abrasion. This is where the toothbrush starts to remove the enamel of a tooth and can lead to gum recession and tooth sensitivity. The Oral-B Vitality uses a slightly inferior 2D oscillating rotating mechanism of action. This means that it only oscillates and rotates instead of oscillating, rotating and pulsating. The 2D mechanism of action will clean your teeth better than a regular manual toothbrush however not as well as the 3D. 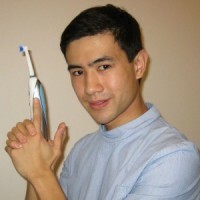 This particular Oral-B Vitality comes with the cross action brush head. This happens to be my favourite Oral-B Brush head because it is small and manoeuvrable. This is particularly important for reaching the difficult to access molars. The cross action brush head also has specially angled bristles set at 16 degrees to clean along the gum line. This is one of the most commonly missed areas when tooth brushing. 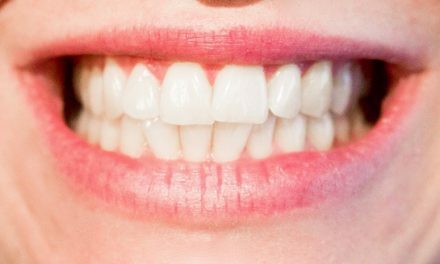 Frequently missed areas whilst tooth brushing can lead to gum disease. The Oral-B Vitality also comes in a Oral-B Vitality Plus TriZone model, however, this is not recommended. I consider the Trizone brush head to be far too tricky to use compared to the cross action brush head (find out more here). The Oral-B Vitality only comes with one mode of action – daily clean. This happens to be Oral-B’s best cleaning mode and will suffice for the vast majority of people. The Oral-B daily clean mode cleans at 8,800 oscillations per minute and brushes away plaque very effectively. 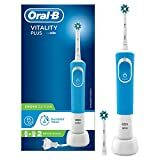 The battery life for the Oral-B vitality is adequate at 5 days of continuous use (4 minutes each day cleaning twice a day for 2 minutes) which is a total in use time of 20 minutes. If you share the toothbrush handle between a couple then that would mean a 2.5 day usage which is not acceptable. The more expensive Oral-B Pro 600 has 7 days of use which is more user-friendly. The lack of a battery indicator is also quite annoying coupled with the low battery life. It is next to impossible to work out when the toothbrush is going to run out of battery. The charging station for the Oral-B vitality is well designed and seems to be of solid construction. As with most electric toothbrush chargers, it comes with a 2 pin plug so you will need to get a shaving adaptor. This can be picked up from any decent hardware store or Amazon. The Oral-B Vitality is fairly light weighing in at 109g. It is also reasonably sized despite the larger handle size. One major negative is that it does not come with a travel case so you will have to wrap it in some clothes when travelling to protect it. At £17.05 it represents pretty good value for money. Definitely, an entry-level model though which you can tell by the lack of features displayed on this model. As with all Oral-B electric toothbrushes, it comes with a 2-year warranty which can be extended to 3 years by visiting the Oral-B website. Running costs of the Oral-B Vitality are minimal. The Brush heads will need to be replaced every 3 months or when the bristles fray. For a Pack of 8 Cross-action brush heads it costs around £3.00 per brush head (at the time of writing). This means it is only £1 a month on brush heads. The only other running costs are water and electricity both of which are small. What are the best alternatives to the Oral-B Vitality? The Oral-B Pro 600 and Oral-B Pro 2 2000 is the nearest competitor to the Oral-B Vitality. Oral-B Pro 600 and 2000 comes with an upgraded 3D mechanism of action cleaning. 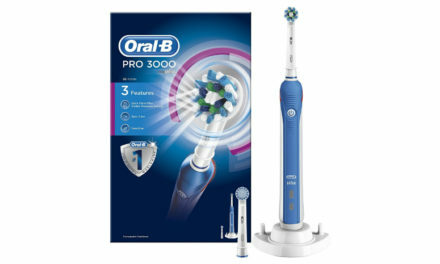 The Oral-B Pro 2 2000N also comes with another cleaning mode and a visible pressure sensor so it is definitely worth a look at. If you want to buy a Sonic electric toothbrush, I would recommend checking out the Philips Sonicare EasyClean Electric Toothbrush . What is your recommended electric toothbrush? 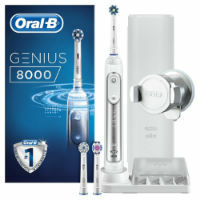 My recommended electric toothbrush is the Oral-B Genius 8000. It has a good balance between price and good features however it does depend on what you want from an electric toothbrush. I would highly recommend checking out my article “best electric toothbrushes UK 2017” to get a detailed overview. Is the Oral-B Vitality suitable for children? The Oral-B Vitality has not been designed for children. If you are looking for an electric toothbrush for children. I would recommend going to my article “Best children’s electric toothbrushes UK 2017”. 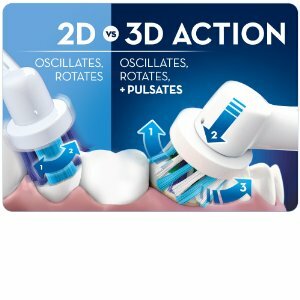 Is the Oral-B Vitality compatible with all Oral-B toothbrush heads? Should I go for the Oral-B Vitality or Oral-B Pro 600? 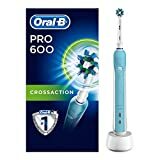 I would personally go for the Oral-B Pro 600 because of the 3D oscillating rotating mechanism of action and the increased battery life (an extra 8 minutes of use). The slimline handle is also easier to grip and feels more solid. Do I need to get a plug adaptor? Yes you will need a 2 pin to 3 pin plug adaptor also known as a shaving adaptor. This is the same with all Oral-B electric toothbrushes. Does this have Bluetooth Connectivity? No it does not have Bluetooth connectivity and does not work with the Oral-B app. 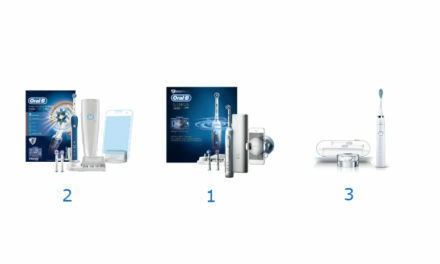 To get this functionality, you will have to look at the Oral-B Smart 4 4000. Does the Oral-B Vitality have a pressure sensor? The Oral-B Vitality does not have a pressure sensor. The cheapest Oral-B to have a pressure sensor is the Oral-B Pro 2 2000N. Is the Oral-B Vitality waterproof? Yes the it is waterproof and it means that you can use it in the shower if you so wish. Is the Oral-B Vitality noisy? No the Oral-B vitality is not overly noisy. Yes it is slightly noisier than a manual toothbrush but it is around average for an electric toothbrush. So if you want an electric toothbrush that cleans teeth for cheap and not much else then the Oral-B Vitality is the right toothbrush for you. If you want an easier toothbrush to use then definitely consider upgrading to the Oral-B Pro 600. The extra features provided are definitely worth the money.